Tie it Up! With hemp cord...naturally. Naturally biodegradable and strong. Use hemp to tie up plants and raspberry canes from flopping over. Crochet or knit with this polished twine in snappy colours and various weights. Earth Day is April 22, go natural. 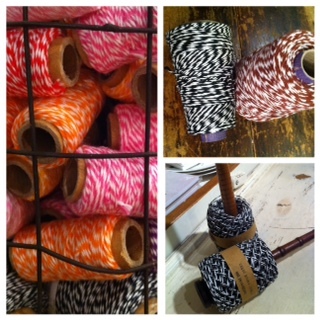 We carry the variegated and bakers twine as well as every shade of hue both dyed or shall I say it, oh naturale. 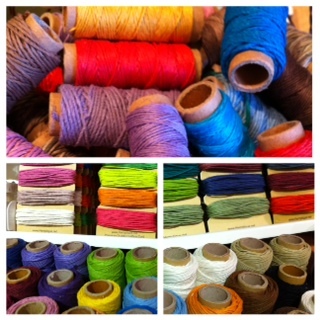 Sew-stitch-bind-decorate-accessorize...get funky, get earthy. Newer PostCelebrate all the Moms in your life on Sunday the 12th of May. Older PostSpring Fever is here!